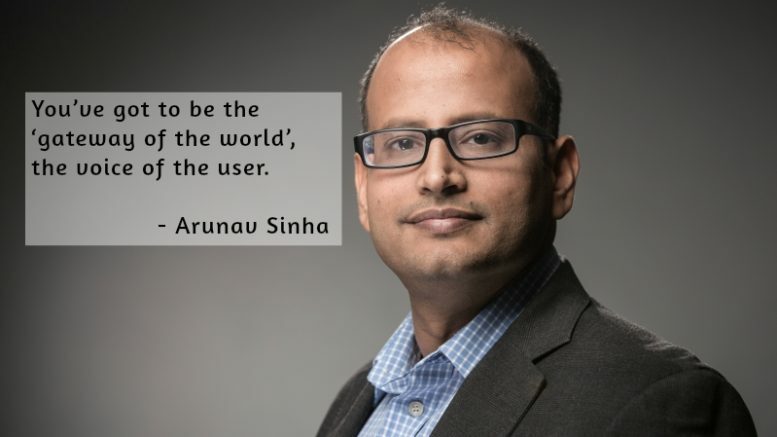 Arunav Sinha, Head of Global Communications at Coursera has worked with companies like Yahoo, Capgemini, Satyam Computer Services, iSOFT plc etc. He has a proven track record of successfully leading the full spectrum of corporate communications activities, including strategic planning, media relations, crisis communications, executive communications and consultancy management. RT: How has Reputation Management evolved over the years? Arunav: Reputation Management has always been important; it’s critical in the fairly complex media environment, where you have new cycles all the time. For a long time, companies thought Public Relations and Corporate Communications was about the ‘news’ business; today, it is all about the ‘views’ business. Reputation is not a self-serving, myopic view about your company, but it is about representing what you stand for and taking the entire space forward. That is the responsibility of thought leaders leading this space. Our company is at a nascent stage. As an industry leader, we are very thoughtful about increasing general awareness about not just the company or space but about the whole concept of lifelong learning. RT: What are the challenges that a global Public Relations team faces today? Arunav: One challenge is to create a balance between the global and local narratives. You cannot be totally inconsistent about what you are globally; yet, you have to be interesting and planted in the realities of the local business. There are other logistical issues. In global media, briefing reporters face issues of embargo, timings, etc. India wakes up earlier than Europe and Europe wakes up earlier than US. And, there are the language issues. Thirdly, a new cycle anywhere in the world can have an impact and you may not have the resources to handle the impact. We have crossed 6o countries, 28 million users and don’t have offices in more than four countries. As a Communications and PR professional, one should be alert – a crisis can happen anywhere. RT: A key aspect of the Public Relations strategy revolves around ‘mobile’ and it also focuses on Millennials. Please comment. Arunav: That’s the bigger issue – the Millennials, whose job expectations are different. Previous generations were ‘career advancers’, but now we have ‘career shifters’. They learn differently and spend time on the mobile. Mobile is a huge part of our strategy. 24-25% users come exclusively on mobile; 96% of our course catalogue is available on mobile too. You can download courses, videos and watch them offline. We have implemented data fetching techniques, which are far more efficient. In many ways, we are leading the platform shift in education – like Facebook did on social and YouTube did in video. RT: You had said, “We believe in Public Relations with a purpose where our goal is around our share of heart and mind, not share of voice”. Please elaborate. Arunav: It’s not just about maximizing coverage. You need to connect with people and say something meaningful. PR is not a business where you take what’s available in the company, package it well, and tell it to the world in an interesting way. You’ve got to be the ‘gateway of the world’, the voice of the user. Whatever you say, you need to connect with the learners, have a share of heart not just share of voice! It’s not just another story. RT: How do you weave external Public Relations and internal Public Relations strategies to create a high momentum for the corporate brand? Arunav: This is a change I have seen in my career. Companies used to have an external communication strategy and an internal communication strategy. I believe they should have one strategy and one message. What can differ is the level of details shared with employees vis-à-vis with external public. But the core message, the core values must be common. It’s important to have a consistent voice. How do I reduce message dissonance between internal and external public? That’s where we need have a strategy, a single message. The level of transparency can change. RT: What is the impact of digital media on brand reputation today? Arunav: You have to manage 24×7. Now we have to watch closely what our users, learners, the general public are speaking about and factor it into our sentiment. So, reputation management systems must track what users and social media are talking about their brands. Digital media has broken all barriers, and it’s democratic. A brand could be inspirational in India, but it may be trashed abroad. If I am locally routed, sensitive, respectful then partnering with media in different parts of the world is not a difficult job! RT: You moved from Yahoo to an online education company. What are the changes that you can see? Arunav: Both are in Silicon Valley, so the culture is the same. On one side, Yahoo is a legacy internet company, with a large user base, caught up with the corporate narrative. It was important to think that there are companies trying to solve large problems. Here, we are trying to solve the problem of access – quality access to education, globally. If we have 300 million people entering the workforce, imagine how to place them? The current education system cannot serve them – we have to re-imagine. RT: What is the reputation that Coursera has evolved for itself today? Arunav: We were founded five years back. The whole movement started when Stanford professors Andrew Ng and Daphne Koller started a computer science course in Stanford, and asked us to join them. They thought if hundred people joined, it would be a huge success. One hundred thousand people joined, and they were shocked to see the scale! The first generation was all about access. But now, we are changing the whole paradigm – how we can help you learn better. From access to personalising the scale – that’s how we evolved the business. We are trying to make it more meaningful – investing in how you learn, how the brain learns plus incorporating AI techniques to improve our products. Be the first to comment on "Today Public Relations and Corporate Communications is all about the ‘views’ business"